Pink melamine star print cup by Rice DK. 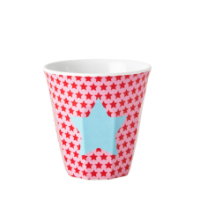 This pretty two tone pink and red star print melamine cup with a pale blue interior co-ordinates with a pink star bowl also by Rice DK. 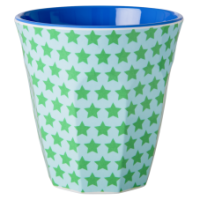 Mix and match the colours to create your own theme. 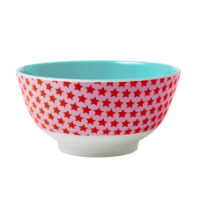 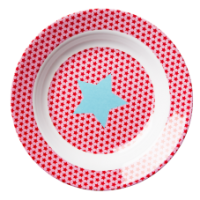 Co-ordinates with plain coloured plates, bowls and mugs or match with the star print bowl by Rice DK. 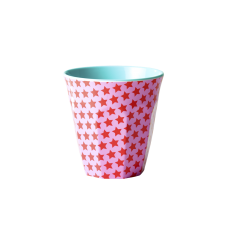 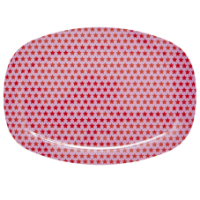 There is also a kids pink range of star patterned melamine by Rice Dk that includes a small cup, plate, bowl, cutlery and a 4 room plate.